Neurosonic devices improve sleep disorders, help to relax, release pain and mental stress and speed up muscular recovery. Neurosonic has developed a muscle and tissue stimulation form of therapy. 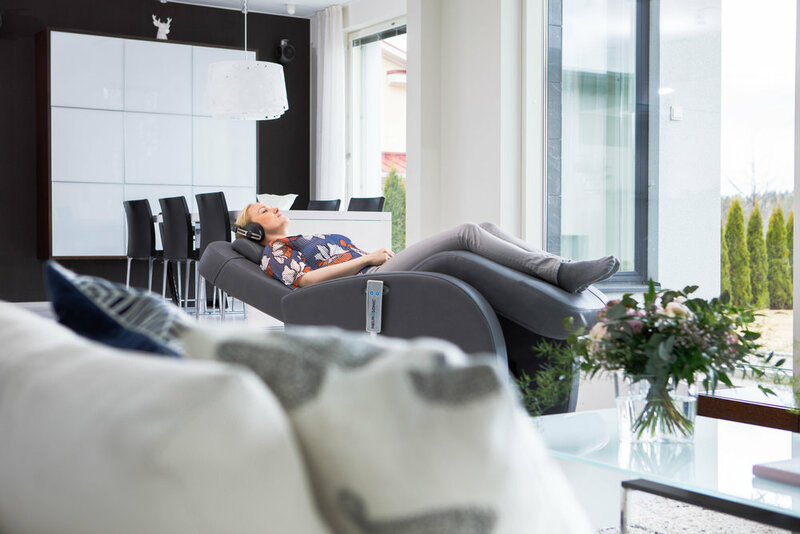 Our relaxation chair uses low-frequency vibration that affects health in a holistic way. It increases the metabolism, blood circulation, fluid circulation and slows down the nervous system activity. Neurosonic represents a new technological approach to advancing health and wellbeing. We have products for private households, companies and healthcare specialists. As Neurosonic sales numbers are growing steadily the company is currently employing more staff to support the increasing demand for its services. Neurosonic headquarters are in Oulu, Finland. TARGET MARKET(S): Finland, Nordic Countries, US, Germany, UK, the whole world..
You can already find Neurosonic devices from healthcare specialists, school campuses, health clubs, professional athletes, airport lounges etc. It’s a modern way to control your stress and pain, enhance your sleep quality and improve your recovery. Neurosonic’s solution - a soothing effect on both physical and mental well-being.